Cattie Adhesives manufactures a complete line of high quality Bookbinding Adhesives and Graphic Arts Adhesives. Our Hot melts, PUR and water-based adhesives are formulated to meet specific application requirements for color, bond strength, heat resistance, or other performance standards. Our products are used extensively across many industries and for many adhesive applications. Our Hot Melts and Water based adhesives are formulated to provide excellent adhesion to all types of substrates including difficult to bond Foils, Films and UV coated papers. What is PUR Reactive Hot Melt Adhesive ? PUR Reactive Hot Melt Adhesive (Polyurethane) is a reactive moisture curing adhesive known for – Strong Bonds and Exceptional Heat, Cold and Moisture-Resistance; this makes them an excellent choice for most difficult to bond, low energy substrates and they perform very well in extreme weather environments. Our PUR Reactive Hot Melt Adhesives can be Custom Formulated to have a Very High Initial Tack and Green Strength. After PUR Hot Melt adhesive has been applied to a substrate it will start to cross-link and form a final bond. Depending on air humidity % and substrate moisture conditions; PUR Hot Melt develops 50-80 % of its final bond strength within 3 – 6 hours. The full reactive cure time is normally 24 to 36 hours after application. PUR Hot has a Wide Temperature performance range – From: -40°F to + 300°F. Cattie Adhesives manufactures a full line of PUR Reactive Hot Melt Adhesives for Industrial applications. We have the knowledge and experience to help you design and scale-up your PUR hot melt adhesive production and help to improve your production speed, accuracy, efficiency and consistency. Our PUR Hot Melt Adhesives can be Custom Formulated for Strong, Fast setting-Permanent bonding applications; or Slower setting applications. We have the ability to produce pigmented reactive hot melt adhesives, pre-polymers, and other custom products. Our PUR Hot Melt Adhesives can be used with most Hot Melt Applicator Systems and are made to bond to most difficult substrates including – fiberglass, nylon, plastics, rubber, foam and coated papers. PUR Hot Melt adhesives are applied molten like a conventional hot melt, but then cure by reaction with atmospheric moisture to form a cross-linked thermoset system. PUR Hot Melts are fast drying and most bonded parts have the Green Strength to be handled after a few minutes. PUR Hot Melt adhesives are widely used for the bonding of Large Panels, such as SIP Panels, Door manufacturing, Garage door Construction and the walls of Recreational vehicles. 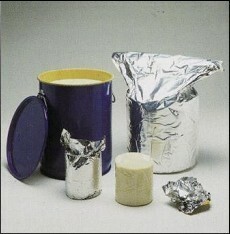 PUR Hot Melt is commonly used for Laminating Foil to sheet metal for the production of Cans and Bottle Caps. For bonding large areas; Spraying or Roll Coating are often the best application methods for PUR Hot Melt. 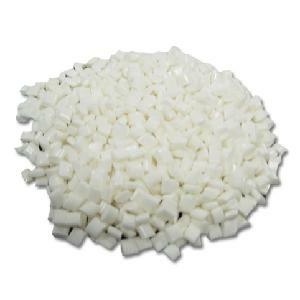 PUR Hot Melt does Not bond well to Untreated PolyEthylene (PE) or PolyPropylene (PP). It is suggested that PE and PP are Corona treated, to improve the bond strength to these substrates.